When people refer to a beans and rice meal or budget it is often in a negative way, but it doesn’t have to be that way. Yes, beans and rice can be boring, but they don’t have to be. There are so many ways to serve beans and rice. I love cooking with beans and rice, not only because they are cheap to buy, but because there are so many ways to serve them. 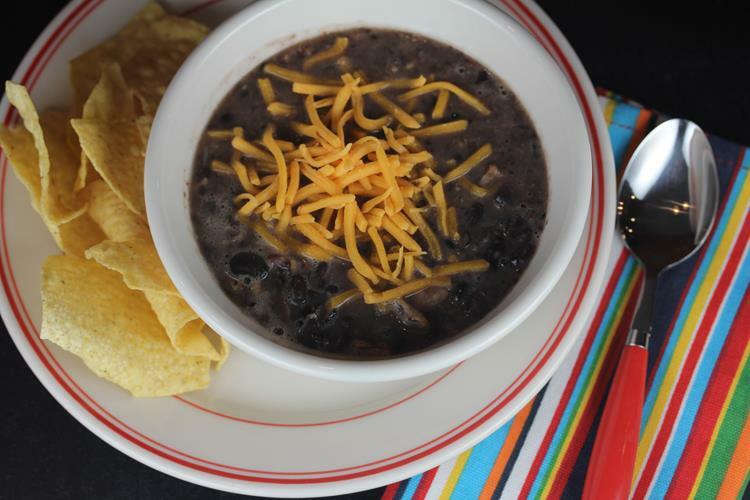 Way back in 2009 I shared a recipe for a black bean soup that I found in Paula Deen’s Magazine. My family loved it and I loved how easy and inexpensive it was to serve. I recently updated the photos on the post and thought I would highlight it today because it is one of those recipes that has been forgotten about because it was buried in the archives. 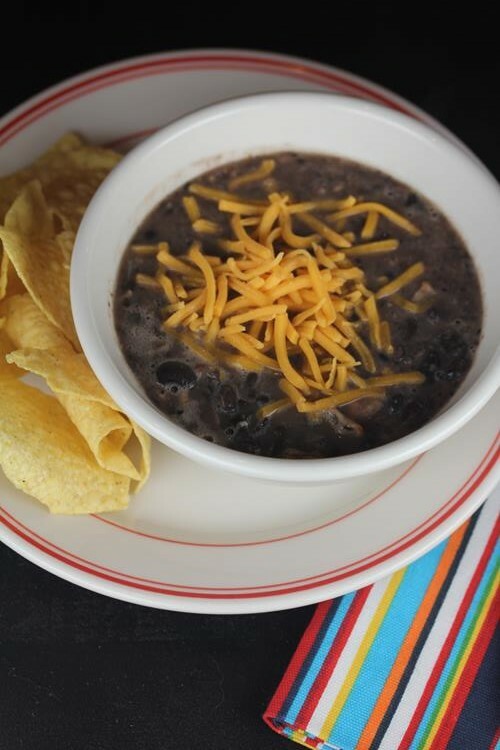 It is a simple soup that can be served on its own, but you can easily add some tortilla chips or make quesadillas to serve with it.